Whether this is your first high-rise move, or you’ve done it before, by now you know that high rise moves present some special challenges. They are not your park-and-load the truck suburban move, unfortunately, and they require some careful planning and coordination ahead of time. Since Las Vegas has a sizeable number of high rise buildings, we’ve got lots of experience with the ups and downs (excuse the pun) of high rise moves. We want to share some useful advice to help you make yours go smoothly. Your starting point should be to contact the management of your building and get their list of requirements for moving into or out of the building. Each building has its own policies and there are also building safety regulations to consider, so make sure you know and are prepared to follow your building’s rules. For example, many high-rise buildings require that you reserve the elevator ahead of time or that you use a freight elevator in the back and avoid public areas. In any case, make sure you locate the freight elevator which comes in handy for moving large furniture and appliances. Inquire about parking for your movers and whether you need a permit for loading and unloading in a convenient spot. Most building will put up blankets in the walls of the elevators when someone is moving in, but if not, bring your own blankets and throw them over any sharp edges on furniture or boxes, to protect the elevators and walls in the corridors, as well as your own items and the walls of your own unit, of course. And finally, be sure to provide ample notice of your move date to your building management so you have time to fulfill any requirements they may have and avoid any fines or other problems or surprises that can affect your move plans. 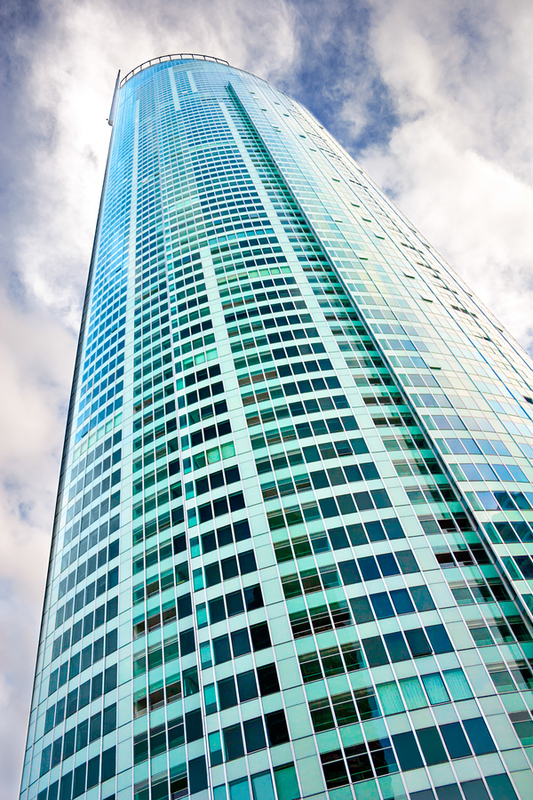 Most high-rise condominium associations have strict requirements to protect you and them in the case of an accident, injury or damage that happens during your move. They will usually require a Certificate of Insurance showing that your movers have both general and workers’ compensation insurance, so be sure you ask your movers about their coverage. Your high-rise managers, because of this requirement, may not allow you to just have a friends-and-family move, but will ask that you engage experienced and insured high-rise movers who will help assure a smooth and damage-free move. In any case, as you plan your move, make sure you understand your building’s requirements related to safety and insurance. If you’re moving from the suburbs to a high-rise, it’s time to think about the very different logistics you will be dealing with. First of all, you probably won’t have a garage of your own. All the things that you now store in the garage attached to your house will probably not fit well into your new high-rise lifestyle. If, on the other hand, you’re an experienced high-rise resident, you know that there’s always a nagging “do I really want to try to get this up to my unit” aspect to thinking about new purchases for your high-rise home. It’s just a long way to carry things. So, no matter where you’re moving from, now that you’re facing a high-rise move, take heed of some wise decluttering advice: If you haven’t used it in over a year, toss it out. Go through your items as you pack and take a serious look at what fits your new high-rise lifestyle and whether you need it or not. This goes for all the things in your bedroom closets, and those still unpacked boxes from the last move, as well as the contents of the garage. And what about your furniture? Ask the building manager for floor plans, and study them ahead of time to determine where and whether your furniture will actually fit. Measure doorways and the turning angles from corridors to bedrooms: will your sofa or bedroom dresser fit through the openings? Examine furniture pieces to see if they can be taken apart for easier moving. If a piece isn’t really needed and doesn’t really enhance the new place, sell, donate or store it. Your life and move will be simplified. If necessary, put seasonal, sports equipment or other rarely-needed items in storage before moving day, using old pallets and cloth covers, as plastic encourages moisture buildup and can lead to mold and mildew. Because of its special challenges, high-rise moving is a unique type of move that takes pre-planning and extra care. Consider hiring an experienced and competent high-rise mover, particularly one that’s on the approved list of high-rise moving companies for your building. Understand what services are included in your moving quote, and whether there are extra charges for additional dollies, blankets or straps required by your building management, or for moving heavy items, or for stairway moving, etc. A professional high-rise mover will take you through all the steps of planning your move, and provide a complete and clear written move estimate to you. They’ll work closely with your building management to finalize the move logistics and make sure you’re in compliance on move day. Move 4 Less is an approved high-rise mover in Las Vegas. Our goal for every move is to make it stress and hassle free, including for every Las Vegas high rise move we do. Give us a call today for a free quote and for details about making your high-rise move stress-free and successful.